Have you thought about intermittent fasting for weight loss but are unsure of what you're getting yourself into? If so, you're not alone. Intermittent fasting is one of the most popular diets today. According to Google searches, fasting ranked 8th on the Top 10 diet trends of 2018. Almost everyone is raving about how life-changing it is, and how practical and easy it is to stick to. People who have tried intermittent fasting have reported exceptional weight loss, increased energy, and improved health. These claims are backed by research which indicates that periodic fasting can indeed have huge health benefits and can help people ward off certain diseases. Here is a list of answers to the 7 most common questions about intermittent fasting to get you started. Intermittent fasting is not a diet but an eating pattern. It does not tell you what you should or shouldn't eat but rather suggests a time for eating. There are many variations to intermittent fasting, but the easiest to do is 16:8 where you do not eat for 16 hours, which is basically like skipping breakfast. 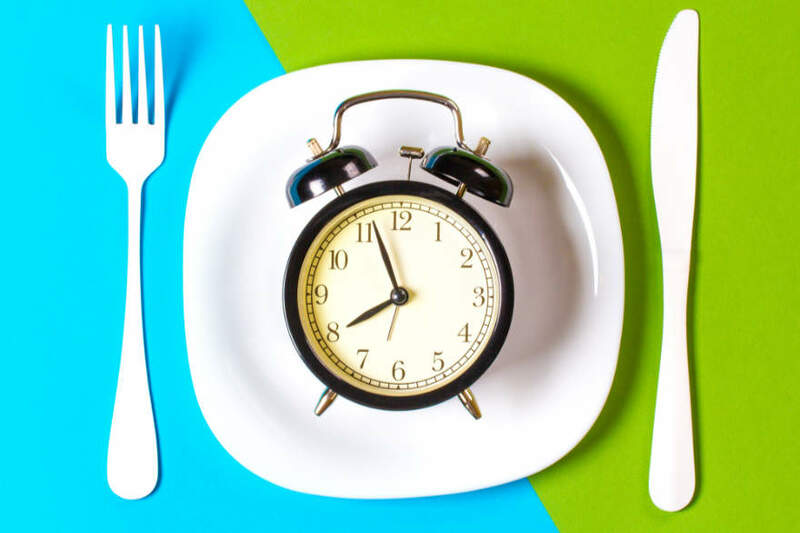 Besides weight loss, studies have suggested that intermittent fasting has other health benefits like slowing down aging, reduced risk of cardiovascular diseases, and reversal of type 2 diabetes. 2. Won't my body go in "starvation mode" when I fast? Some are skeptical about trying intermittent fasting, believing that if you skip a meal or allow yourself to feel hungry, the body will think it’s starving and try to preserve itself by shutting down metabolism, feeding on muscle, and preventing you from burning fat. The truth is, studies have proven that short-term fasting can actually boost your metabolism, which leads to fat loss. Fasting makes you lose fat, not gain fat. 3. Which intermittent fasting method is right for me? What makes intermittent fasting so desirable is that it can fit any lifestyle. There are several variations, from which you can choose which best suits you. According to Dr. Krista Varady, associate professor of nutrition at the University of Illinois, it takes an average of 10 days for a first-time faster to adjust to a fasting regimen. So don't fret if you don't get it right the first time. And you don't have to choose just one method. You can always switch it up as you progress and become more comfortable. If you start with the 16:8 method and are ready to try a longer fast, you could easily switch it up to 18:6, alternate-day fasting, or 5:2. 4. Can I eat anything I want during my eating window? There are metabolic health benefits when fasting regardless of what you eat during your eating window. Studies have shown that people who do some form of fasting can eat whatever they want in their eating window and still lose weight. Intermittent fasting gives you the freedom to choose which food to eat without feeling restricted during your eating window. However, it is advisable to pair intermittent fasting with a healthy, balanced diet for maximum health benefit. While you can eat whatever you want, can you eat as much as you want? The beauty of intermittent fasting is that it naturally creates a calorie deficit, which is required to lose weight. So you typically don't need to worry about eating too much. If you have a longer eating window or fast very infrequently, then you will need to be more conscious about not gorging yourself. 5. Can I eat or drink anything besides water while fasting? Fasting is the exact opposite of eating, so it should be pretty self-explanatory that when you fast, you abstain from any food. You can drink water, of course. However, there are beverages, besides water, that you can have that will not break your fast. 6. Can I exercise when fasting? Yes. Most intermittent fasting advocates will suggest that you workout in your fasting window and not in your feeding window. When you are exercising in a fasted state, your body is able to burn fat more efficiently. It is best that you exercise just before ending your fast so you have immediate access to energy once you are done. There is also no limit as to what type of exercise you can do—cardio, strength training, HIIT, yoga, or whatever exercise regimen you are used to or comfortable enough to try. The most important thing to note is to listen to your body. Pay attention to your energy levels and see how your body reacts. 7. I've been fasting for a week, how come the scale is not moving? While intermittent fasting, expect your weight to fluctuate due to water retention as a side effect of fasting. If you have been exercising, you may also be building muscle mass, so that could also be a reason. It can be frustrating in the short term, but over time the results will add up. Try keeping a visual record of your progress. So be sure to measure yourself and take pictures when starting intermittent fasting. Some people find bathroom selfies a cliche, but think of it as a way of documenting your progress. And if you look and feel great, then the number on the scale won't matter as much. "starvation mode" when I fast? 7. I've been fasting for a week -- why isn't the scale moving? Try keeping a visual record of your progress. So be sure to measure yourself and take pictures when starting intermittent fasting. Some people find bathroom selfies a cliche, but think of it as a way of documenting your progress. And if you look and feel great, then the number on the scale won't matter as much. 8. (Bonus) Where can I learn more about intermittent fasting? Glad you asked! For more information, check out our intermittent fasting guide for beginners.